Royalty-free stock illustration of a black santa flying with a parachute. 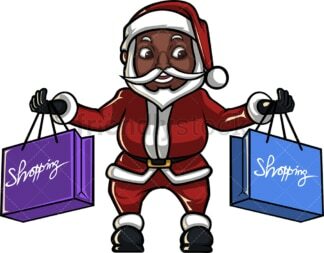 Royalty-free stock illustration of a black santa claus holding two shopping bags. 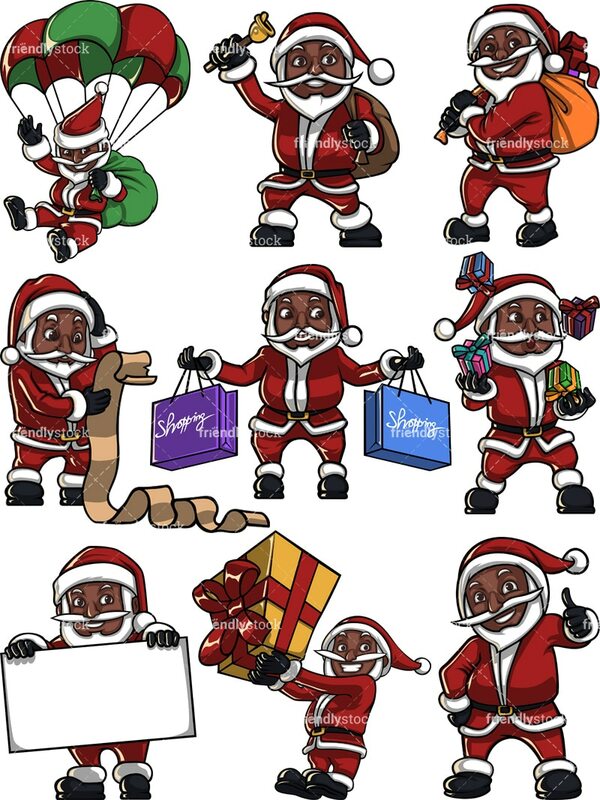 Royalty-free stock illustration of a black santa claus juggling with christmas gifts. 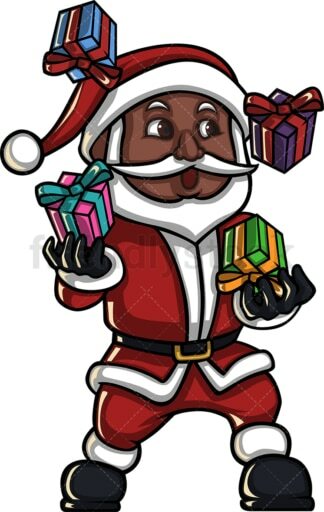 Royalty-free stock illustration of a black santa claus ringing a christmas bell while carrying a gift sack. Royalty-free stock illustration of a black santa claus carrying a gift bag and smiling. Royalty-free stock illustration of a black santa claus reading a massive wishlist looking worried. 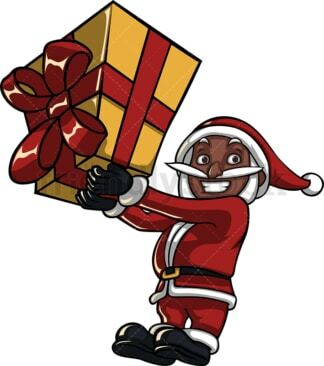 Royalty-free stock illustration of a smiling black santa claus holding a huge gift box. 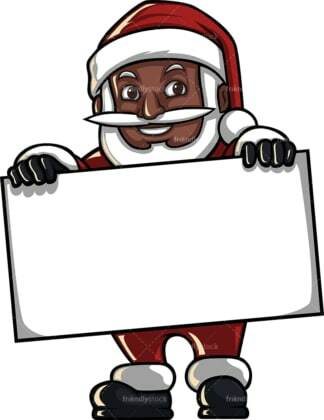 Royalty-free stock illustration of a smiling black santa claus holding an emtpy sign.